More than 25,000 people have so far signed on to join privacy advocate Max Schrems’ complaint against Facebook. However, it will be up to the Austrian Supreme Court to decide whether they can make their cases jointly as a class action lawsuit. 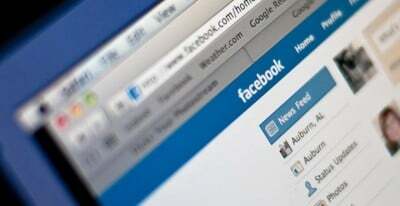 Schrems, an Austrian citizen, filed a lawsuit aganst Facebook Ireland in July 2014, alleging that the social networking giant’s handling of user data violated European privacy laws. Both Schrems and Facebook appealed to Austria’s Supreme Court after the Vienna Court of Appeal issued its decision on the case last month. The appeals court ruled in favor of Schrems on 20 out of 22 claims, but said the Supreme Court would have to rule on the question of whether other potential litigants could join Schrems in a class action. A decision by the Austrian Supreme Court is expected sometime in early 2016. Schrems is seeking 500 euros (about $531) in damages for every complainant. Neither Schrems nor Facebook responded to our requests for comment on the coming Supreme Court case. However, in a statement released today, Schrems said he believes he has EU law on his side in regard to his request for a class action or model case lawsuit. Schrems’ inspiration for the complaint came after a 2011 talk by Facebook privacy lawyer Ed Palmieri that he heard while he was studying in the U.S. Schrems said his takeaway from that speech was that Facebook’s handling of user data did not comply with the European Union’s data protection laws. Privacy complaints against Facebook received a boost in October when the Court of Justice of the European Union declared that an E.U.-U.S. agreement on how U.S. companies handled European citizens’ personal data was “invalid.” The Safe Harbor agreement, which had been used since 2000, allowed U.S. companies to self-certify they would comply with European privacy standards. The Court of Justice’s opinion was issued in response to Schrems’ complaint against the Data Protection Commissioner in Ireland. That case stemmed from the Irish commissioner’s rejection of Schrem’s complaint against Facebook, whose European headquarters is in Ireland.